Portugal is a country of contrasts. Take the Algarve; a ten-minute drive can transport you from a rustic village to the glitz and glamour of a resort in the Golden Triangle. Or Lisbon, where a short walk will take you from an upmarket district, home to boutiques and glamorous apartments, to a charming neighbourhood with peeling paint and washing hanging from window sills. When you’ve worked out your budget, Portugal has the homes. The wonderful thing about Portugal is that you can own a piece of it regardless of your budget. Yet you will still have access to the same seaside and sunshine. Let’s explore the Algarve and Lisbon to discover where to look for property budgets at either end of the spectrum. You’ll have no trouble finding a property to match your budget in Portugal. From the vast seascapes in the east, through the tourist heartland to the Parque Natural da Costa Vicentina out west, the Algarve is one of Europe’s most popular destinations for both tourists and overseas property buyers. Part of the appeal is that there’s something to suit all budgets and tastes around here. The best bit is that wherever you choose to buy you won’t be far from a fabulous beach. From the vast seascapes in the east, through the tourist heartland to the Parque Natural da Costa Vicentina out west, the Algarve is one of Europe’s most popular destinations. If you’re looking for an Algarve property for a lower price, consider heading to the east of the region. This takes you away from the hustle and bustle of the tourist resorts down the road. When you take a viewing trip to towns like Moncarapacho and Alcoutim, you’ll find affordable property in a peaceful setting. A little further west is Olhão. As this is still very much a working town, it’s neither overrun by tourists in the summer nor a ghost-town in the off-season. It also offers convenient access to Faro airport, which is just a 15 minute drive away, further cutting your costs each time you visit. 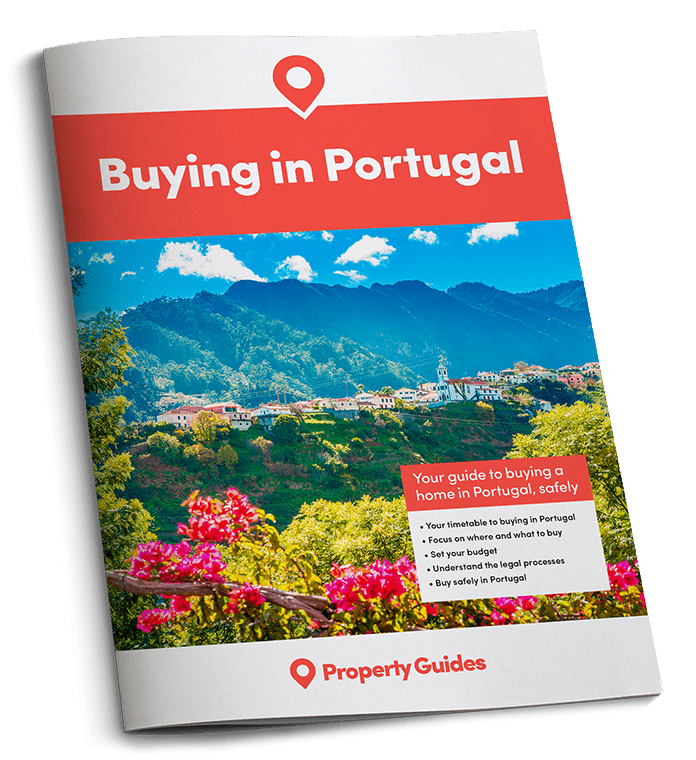 If you are ready to buy a home in Portugal, Property Guides will be at Your Overseas Home. It’s a new style of property show, where those serious about buying can get answers to detailed questions and introductions to trusted lawyers, agents and currency providers. Click here to apply for FREE tickets to shows this April and throughout 2018. Stretching from Lagos in the west to Faro around 80 kilometres to the east, the main tourist belt isn’t all €million villas and mega-yachts. Head to popular spots like Vilamoura, Praia da Luz and Albufeira and you won’t have too much trouble finding a two-bedroom apartment for budgets well under €200,000. 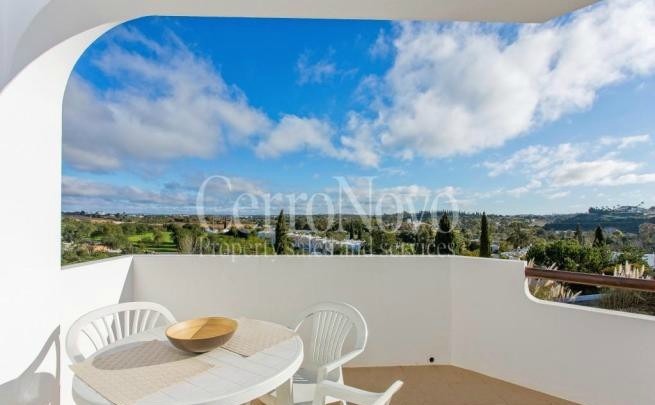 Consider this two-bedroom apartment in Albufeira. It comes with access to a communal pool and stunning views over the town from its own balcony. Yet it has an asking price of just €179,000. If you’re looking for the Algarve’s prestige property, you’ll be drawn to the Golden Triangle. Here you’ll find the much sought-after resorts of Vale do Lobo and Quinta do Lago. This small section of the Algarve has a “Millionaire’s Row” feel, and you’ll see plenty of plush pads around to justify this tag! Certainly this is a place favoured by footballers and celebrities, attracted by private developments and gated villas. You’ll find it’s also within easy reach of high-end boutiques, gourmet restaurants, swanky marinas and world-class golf courses. The sky truly is the limit when it comes to property here. 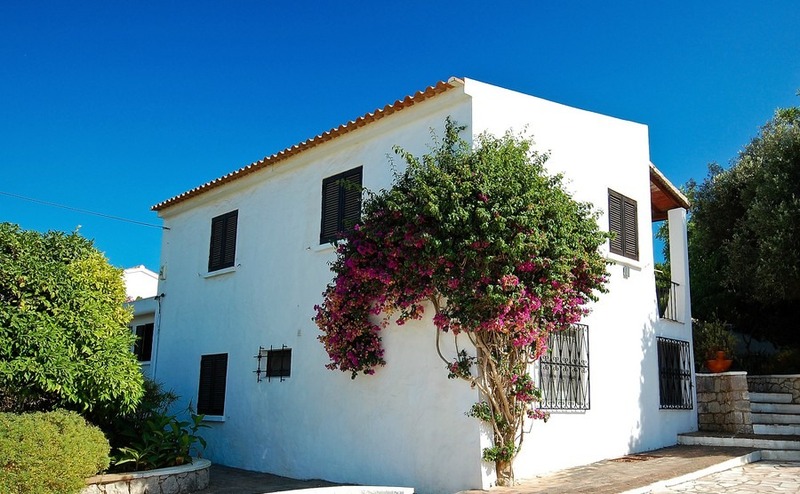 Detached villas start at around €1.5 million and can reach upwards of €9 million. It’s important to realise though, that there are also comfortable town houses and apartments for those whose budget doesn’t stretch past the million mark. 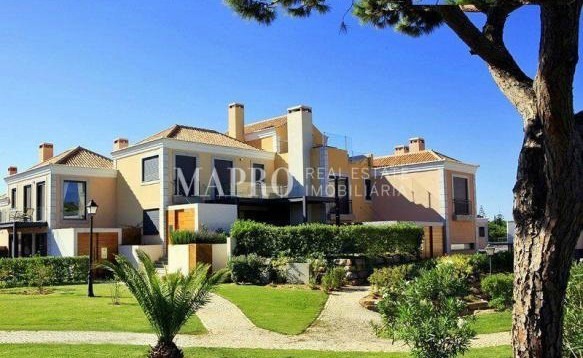 This spacious townhouse in Vale do Lobo is on the market for €1,090,000. It has two bedrooms, its own swimming pool and is by the 12th hole of the stunning Royal Golf Course. One way you can save a few euros is buy negotiating for a lower price on your property. Read our guide, How to Negotiate Abroad, for essential tips on how get a better house for your money. Well over 3,000 years after it was founded, Lisbon finds itelf in the curious position as Europe’s “most up-and-coming capital”. You can put that down to tax and visa incentives, an improved infrastructure and positive economic outlook. All of these factors are encouraging overseas buyers. Whichever end of the budget scale you are, there’s plenty of property to choose from, both in and around the city. The Ameixoeira district is a short distance from the city centre on the yellow Metro line. Although handy for the centre, it also has all the amenities you’ll need on the doorstep. Over in the east of the city, Marvila remains an affordable district despite going through something of a transformation recently. Young buyers have been moving in, drawn to the area as Lisbon’s tech boom gathers pace. As well as these, you can find low-cost property in Charneca, Santa Maria dos Olivais and Beato too. This two-bedroom duplex apartment is in the Beato district and is on the market for €225,000 (£196,900). Lapa – the embassy quarter – is perhaps the city’s most salubrious neighbourhood. Here you’ll find private schools and quiet residential streets, fabulous green spaces and breath-taking views of the city and river below. Príncipe Real is one of the most sought-after areas to live in the city. Its attractively gentrified surroundings are popular with young high-flying buyers. 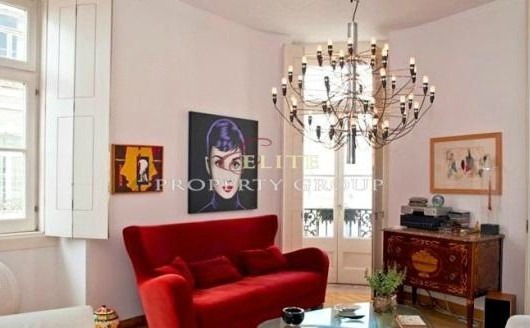 This trendy apartment is located in the Príncipe Real district and could be yours for €865,000 (£757,000). For true luxury living, take a viewing trip along the Marginal. This is the waterfront road that connects Lisbon to the high-class resorts of Cascais and Estoril. Oeiras is a good place to start. 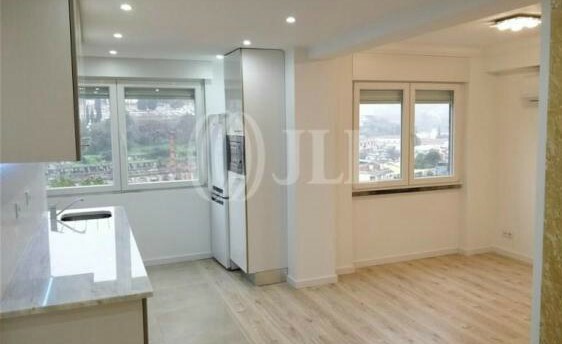 It’s just 15 minutes from the city centre and upmarket Cascais. Luxury villas close to the ocean start at around €1.5 million.